Why not get a group together and stay at High Barsham – an historic farm building in North Barsham, located close to the Norfolk coast. High Barsham offers luxury accommodation that sleeps up to 12 people in 5 double bedrooms and 1 twin. There is a woodburner for cosy evenings around the fire and a private walled courtyard garden. There are two games rooms – one with table tennis and one with table football. Children welcome. Local attractions for kids include the Sea Life Sanctuary at Hunstanton, Banham Zoo in Attleborough andthe Thursford Collection in Thursfood Green (engines, mechanical organs, Wurlitzers and fairground rides). High Barsham is now £1500 for half term (reduced from £1975) for a 4 night stay arriving on the 27 October 2014 a saving of 25%. via Norfolk Cottage Accommodation for 12 People | High Barsham Cottage. Old Tump House is a beautiful 18th century self-catering cottage overlooking the Forest of Dean with some availability during the school summer holidays. This family friendly cottage sleeps six in three double ensuite bedrooms with space in each room for a travel cot. It makes a great base for exploring the beautiful Forest of Dean with its meandering footpaths and a Family Cycle path that runs through the Forest away from traffic. The Wye Valley is also easy to reach and is known for its climbing, canoeing and kayaking activities and superb high wire adventure courses. The cottage costs £810 per week in August or £580 for a 3 night weekend break/4 night mid week break. Cranmer Country Cottages, a collection of 8 self catering luxury cottages on the North Norfolk coast is a magical place to take the family this Christmas. 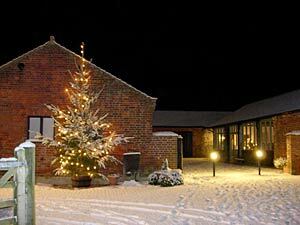 Due to some cancellations Cranmer Country Cottages are now offering discounted Xmas holidays. Enjoy a swim in the indoor heated swimming pool, head to the beach for a wintry stroll or simply relax whilst the children play in the large, safe fenced play area with outdoor activity equipment and timber playhouse. The surrounding area is perfect for family cycling, birdwatching and nature spotting. The beach is a 15 minute drive away. Wagtail Cottage (with a woodburner) and Owl (a converted barn) are both available between the 21st and 28th December at a rate of £950 (from £995). Both sleep 4. Spend Christmas in the Country! 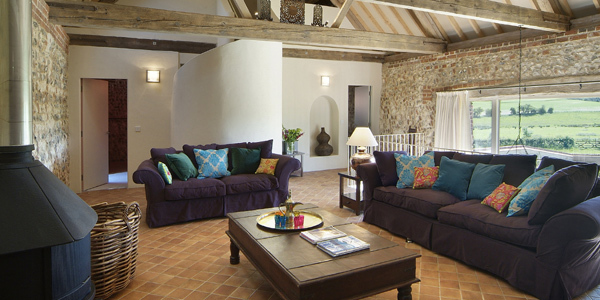 Norfolk Luxury Cottages. Old Tump House is recently launched and is a beautiful 18th century self-catering cottage overlooking the Forest of Dean with some availability during August. This family friendly cottage sleeps six in three double ensuite bedrooms with space in each room for a travel cot. It makes a great base for exploring the beautiful Forest of Dean with its meandering footpaths and a Family Cycle path that runs through the Forest away from traffic. The Wye Valley is also easy to reach and is known for its climbing, canoeing and kayaking activities and superb high wire adventure courses. The cottage costs £780 per week in August and from £600 in September. Mid week and weekend breaks are also available. If you are looking to escape from it all and searching for a family rural retreat with walking, hiking and cycling opportunities on your doorstep then these cottages situated in the foothills of the Peneda Gerês National Park, Northern Portugal offer just this. The whole family will enjoy discovering Celtic ‘castros’ (fortified settlements) and medieval castles, ancient megaliths, rock carvings and dolmen graves which are over 5000 years old. Activities in the area include riding a garrano pony native to the northern part of Portugal, climbing 300 million year old granite rock faces, seeing the ‘espigueiros’ – granaries built to dry the corn crops; swimming in the lakes, rivers and waterfalls and cycling an old roman road. Wildlife includes wild boars, roe deers, foxes, eagles and the last surviving wolves. The cottages have been recently rebuilt and are situated in the middle of the village of Sistelo which is a 90 minute drive from Porto or Santiago de Compstella in Spain. The price is 50 euros per night (a minimum 2 night stay based on 2 persons) and each additional person is 15 euros – a great base for your family holiday Portugal. Rural Tourism | Holiday country house Peneda Gerês | Wix.com. Think Wind in the Willows for your Easter holidays – just Wales rather than England! This child friendly accommodation is situated on a 75 acre farm and guests have access to the 38 acre woodlands with its paths and tracks and it’s log cabin with camp fire and swings. The Old Oak Barn has been beautifully converted and sleeps 4 or 5 very comfortably. There is a small private lawn with 2 swings and children will enjoy the stream, the woodland walks and feeding the chickens. Lego, games and books are supplied. Just twenty minutes from the coast at Pendine and about 30-40 minutes from the Pembrokeshire Coast older children can enjoy kayaking, mountain biking, coasteering, wildlife adventure boat trips, horseriding and cycling. 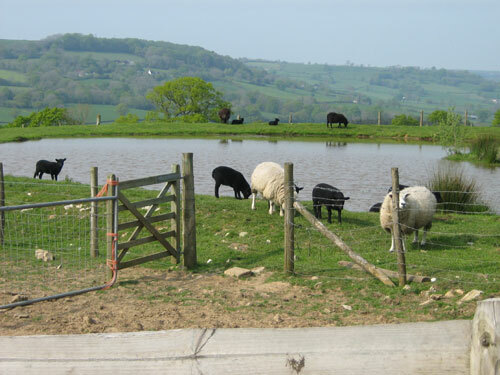 Nearby is Folly Farm a must for those with small children who want to feed lambs, have a go hand milking the cows and enjoy other farm animals. A 3 night break from Wednesday 27 March down to £200. A 7 night break from the 6 April (7 nights) reduced to £450. Child friendly cottage in St Clears, Carmarthenshire, United Kingdom – Old Oak Barn. This North Norfolk self-catering holiday cottage has availability this February half term for £364 for the week. Sleeping up to 5 in 3 bedrooms this cottage enjoys a countryside location with deer, rabbits and barn owls for neighbours – perfect for family nature adventures. The coastal resorts of Bacton, Mundesley or Cromer for fresh fish and end of pier entertainment are a short 20 minute car ride away. Activities: there is a nearby stream with woodland walks and many footpaths and country lanes for cycling; ride the Bure Valley Railway to Wroxham for day boat hire to explore the Broads; the whole family can enjoy a day out at BeWILDerwood – an award winning forest of fun and outdoor adventure with treehouses, zip wires and story telling; further afield there is Sea Life Sanctuary at Hunstanton and when it’s time to relax the nearest pub is just a mile away. A high chair can be provided. WESTFIELD COTTAGE, COLBY CORNER – Norfolk Self Catering Cottage Holiday Accommodation Holiday Cottages Norfolk by Norfolk Broads, Coast and Countryside.. If you’re looking for a cosy cottage this February half term to escape to then Mill Haven Place is for you and your family. Mill Haven Place holiday cottages have been lovingly renovated to provide high quality accommodation with eco features. Situated just one mile from the Pembrokeshire Coastal path, with a tiny beach, rock pools galore and all the sea and sky you could wish for. Their larger cottage the Barn (3 bedrooms sleeping 6-9 (great for smaller groups too) is available for the week February 9th-16th. It can be rented for £495 (reduced from £555). Things to do: discover lovely fishing villages and the marine reserve Skomer Island, cycle, walk, horseride on the beach, surf, coasteer and visit St Davids Cathedral. via Glamping and Yurt Camping in Pembrokeshire, Wales | Mill Haven Place. Gladwins Farm is a collection of 9 self-catering, child friendly cottages in Nayland, Suffolk. The Farm is very child friendly with an outdoor playground, new indoor play barn, and heated indoor swimming pool with lessons available. The outdoor playground is equipped with all sorts of swings for all ages, a rocking rooster, a wendy house and football goal; a new indoor play barn caters for children of all ages with a table tennis area, a soft play area for babies and toddlers, tv with Wii and bouncy castle that fits inside the barn during the winter months. Outdoor activities include a full size, all-weather tennis court with a selection of tennis racquets and balls to borrow, croquet on the lawn and a woodland walk. There is a wide range of baby equipment to borrow and an emergency baby pack available should it be required and baby sitting can be arranged. These guys have thought of everything to make your family holiday as easy as possible. Late availability discounts are available: a 4 night stay starting on the 10 December has been reduced by £93.00 to £372.00 (Gainsborough Cottage). 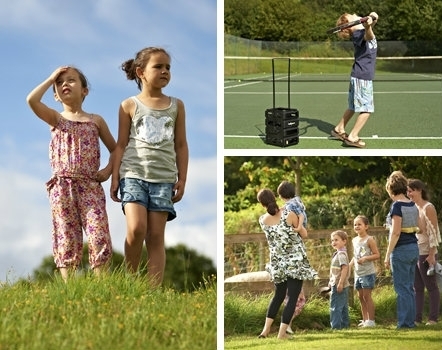 Child Friendly Holiday Cottages in Suffolk – Swimming Pool & Play Barn.